Let the howling of the literary-adaptation purists begin: Screenwriters Andrew Davies and Jeremy Brock have changed key plot points of Evelyn Waugh’s celebrated novel! Charles (Goode) seems suspiciously straighter, enjoying the attentions but apparently not the kisses of fey aristocrat Sebastian Flyte (Whishaw). Worse still, Charles falls for Sebastian’s sister Julia (Atwell) while he’s still spending time with Sebastian, and not, as the novel has it, much later. Why, Davies and Brock even skip over the whole incident at the brothel and reduce teddy bear Aloysius to a cameo. Hustle them into the tumbrel to face Madame Guillotine. 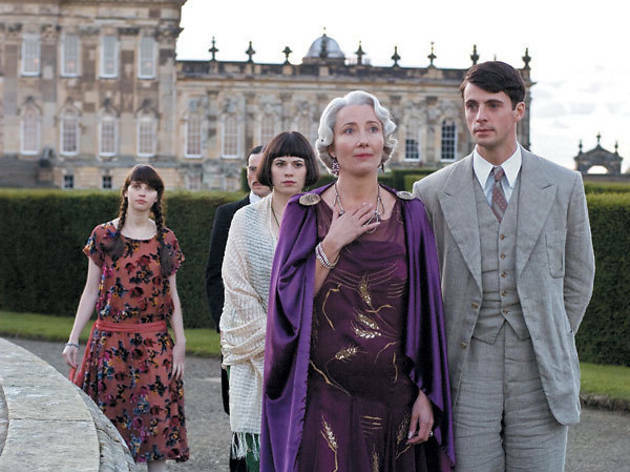 Despite this literary heresy, this Brideshead has some interesting ideas, even if they aren’t Waugh’s. They’ve made Charles more explicitly ambitious and less likable. By the end, it’s clear that we’re meant to find him rather heartless. The freshest and most daring reinterpretation comes from Whishaw. 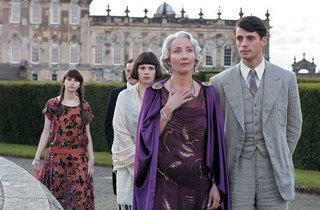 Rather than emphasize Sebastian’s larger-than-life campiness, Whishaw plays him as a tragic fading flower. Curiously, the changes heighten the drama, but make the film a more generic costumer about lovely country estates and British class issues. If you can let go of your memories of the novel and the outstanding 1981 miniseries, this is enjoyable enough as tasteful melodrama. But what would Aloysius say?